The U.S. Environmental Protection Agency (EPA) released draft rules on September 20th, to limit carbon emissions from new coal power plants. The proposed rules are part of President Obama’s broader Climate Action Plan aimed at combating climate change and improving public health, according to the EPA. Under the rules, new coal-fired power plants would be limited to 1,100 pounds of CO2 per megawatt-hour, or could opt to meet stricter average emissions limits that grant additional operational flexibility. The rules also would require new plants to implement partial carbon capture and storage (CCS) technology. Critics of the proposed rules argue that they will cripple the coal industry, by effectively banning the construction of new plants, and hurt the economy. 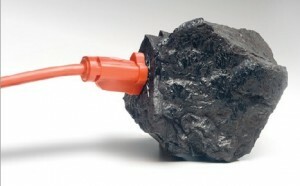 “The facts are plain and simple: coal provides the greatest share of electricity we use, generating around 40 percent of our power … If these regulations go into effect, American jobs will be lost, electricity prices will soar and economic uncertainty will grow,” said Sen. Joe Manchin, (D-W.Va.). Opponents are expected to target the legality of the rule’s requirement that companies incorporate CCS technology into new plants, which many argue to be prohibitively expensive, [Reuters]. What is your view on the EPA’s proposed rules limiting new coal power plant emissions? We don’t have Trofim Lysenko running the EPA. But climate engineering through prior restraint on combustion processes is another form of Michurinism – bending the scientific process to a political agenda. History may not repeat itself with a modern-day vernalization process to ward off the famine but renewable portfolio standards do promise significant capacity shortfalls. All of this is overkill. Many coal plants simply cannot compete with natural gas fired capacity. But letting them quietly shutdown lacks the high-drama of of heroic apparatchiks saving the planet. When we oversimplify problems and make policy based on those oversimplifications, we often do more harm than good. If we are going to attack global warming by limiting GHG emissions, than we need a coherent, comprehensive, and evenhanded policy that covers all GHG emissions in proportion to their IPCC-ranked global warming potential. Otherwise we risk simply guiding people from one harmful behavior into another possibly worse behavior. For example, where are EPA’s GHG regulations for nitrous oxide — 298 times worse than CO2 for global warming and produced by fertilizer production and farming (e.g., food and biofuels production)? Perhaps the administration isn’t as motivated by climate as they are about helping cornbelt ag giants like ADM and POET and Cargill and Abengoa in states that have early primaries. Recognizing that ammoia fertilizer and farming release their own significant GHG emissions dashes the myth of cultivated crop biofuels being clean and green, even before land use change is factored in. Where are the EPA regulations for nitrogen triflouride (NF3) — 17,200 times worse than CO2 and emitted during production of computer chips and solar panels? Tallying up the GHG emissions of fabricating the glass and steel and aluminum, and mining and manufacturing the semiconductor doping materials and rare earth metals for the panels and generators, and making the cement for mounts and foundations, and especially solving the intermittency problem with banks of batteries or inefficient spinning reserve of fossil fuel plants greatly reduces the lifetime projected savings of these high-priced and low-power density alternatives. And let’s not forget methane, which is a mere 25 times worse than CO2 and produced in equal shares by landfills and farmers. EPA is hopelessly politicized and its illogical policies, particularly since 1990, are often achieving exactly the opposite of its intentions and its mandate to protect our land, water, and air. Remember the Clean Air Act of 1990 and EPA’s response of mandating MTBE? The agency folks trying to protect the air didn’t consult with the folks trying to protect the water. Insidiously enough, ethanol in fuel today has the exact same accelerating effect on groundwater and surface water fuel contamination as MTBE, but EPA refuses to track it. As another example, EPA’s implementation of ridiculously restrictive 15ppm ultra-low sulfur diesel in 2006 raised the price of that fuel to the point that it completely stopped the US migration from gasoline engine passenger cars to more efficient and environmentally friendly diesel engines. And EPA’s new draconian particulate emission standards (so low that a charbroiling a single hamburger emits more particulates than an 18-wheeler traveling 143 miles) have prevented US development of ultra-high-efficiency diesel engines and the US sale of the 80.7 mpg Volkswagen Polo which is available in Europe and has much lower overall emissions per passenger-mile than any US passenger car on the road. A recent report by the National Research Council of the US National Academies documents how misguided EPA RFS policies and federal subsidies and tax breaks favoring biofuels have actually had the perverse effect of increasing gasoline consumption, increasing gasoline exports, and increasing GHG emissions (Effects of U.S. Tax Policy on Greenhouse Gas Emissions. Accessed August 22, 2013. http://www.nap.edu/catalog.php). BTW, the study author, Dr. William Nordhaus is also the author of DICE, one of the major global warming integrated assessment models used in calculating the social cost of carbon, and is no shill for big oil. Exclusively demonizing and attacking any single element of a complex problem is guaranteed to deliver a perverse outcome. If the federal government is going to attempt to slow the US contribution to climate change through regulation, then it must address all the causal elements with sanctions that are proportional to their evils (including all types of power plants, all fuels, full lifecycle costs, and all GHGs in proportion to their global warming potentials). If EPA does not make regulations that address the lifecycle emissions of alternative energy as well as conventional energy, and do not aim to slow nitrous oxide emissions 298 times more than CO2 and nitrogen triflouride emissions 17,200 times more than CO2, it is a clear indication that its agenda is not based on science but on politics. That is certainly the case with this targeted sanction of coal electricity. The only way we can realistically get a meaningful set of regulations to reduce greenhouse gas emissions significantly is to go step by step. There is no possibility of jumping all the way at once to full, adequate control. Hence the EPA’s proposed regulations are a meaningful step toward that goal, and we need them. We simply need to reduce the amount of coal-burning, and of course we need to reduce the amount of other hydrocarbon burning too, but not as much as we need to reduce the use of coal. We need to find jobs in sustainable areas for those people whose lives have been built on coal, and it would be very desirable if there were some link between the EPA’s new rules and moving workers from the coal industry into other areas–but who would come up with such a link? Professor Berry – Totally reject the notion of establishing any controls on carbon fuel. But to your point, the best case for a first step is to reconcile the half-dozen of more US climate models. Currently, those models comprise Community Each System/NCAR (NSF-DOE), Geophysical Fluid Dynamics Laboratory (NOAA), National Centers for Environmental Prediction (NOAA), Goddard Institute for Space Studies (NASA), Goddard Earth Observing System (NASA), and DOE’s proposed high resolution model. Until those models are rationalized and validated, there is no basis for rulemaking and less to assume any of these restraints will have any impact at all. With the passing of Ronald H. Coase earlier this month, it is worthwhile to consider how regulatory and tax policies can both achieve energy policy goals and utilize the power of the marketplace concurrently. In Prof. Coase’s essay on “The Problem of Social Cost” (1961), and subsequent debates, it became clear that social costs might not be fully embedded in market prices, if there were imperfect information or high transaction costs, or a divergence between property rights and public benefits. What can regulators do? Some of the social or societal costs of energy policy include adverse climate change (e.g. greenhouse gases), or risks of environmental contamination (e.g. coal burning without pollutant removal, or nuclear accidents). But there are also societal benefits that may not be embedded in market prices for energy. For example, increasing domestic energy production so that supply exceeds demand can reduce risks of prolonged supply import disruptions, Decreasing energy import dependencies from beyond North America can, over time, reduce some of the defense costs associated with protecting energy import supplies. Moreover, some energy technologies have the beneficial effect of warehousing the components of energy production. Nuclear power reactors, for example, can continue to produce electric power from available on-site fuel assemblies despite concurrent disruptions in fossil fuel supplies, or the erratic availability of wind and solar energy. During a period of severe cold New England weather in February 2013, the throughput of natural gas pipelines from Pennsylvania was inadequate, and emergency oil stocks were nearly depleted. The New England electric grid (ISO-New England) came close to a major blackout due to the unreliability of inter-regional fossil fuel supplies. Will we really be better off to shut down the last coal-fired plants in the region? Or to lose additional nuclear power plants that provide baseload electric capacity with better than 90 percent utilization rates? There is a need to embed key societal costs and benefits into market transactions. A carbon tax (perhaps with some offsetting tax reductions) might be preferable to endless EPA regulations that effectively prohibit all coal -fired electric production. Regulatory policies that encourage North American sources of energy production and transportation (e.g. the Keystone XL pipeline) should be encouraged. Regulatory policies to facilitate continuing operation of existing nuclear power plants (so long as safety issues are adequately addressed) should recognize that expanding baseload electric production capacity — including nuclear plants — will also benefit the expansion of renewable energy supply projects. It would be preferable to develop and implement a national energy policy that seeks to incorporate societal costs and benefits, through taxes, financial incentives, and regulatory policies. Step-by-step regulations that bloat the Federal Register and the work of Beltway lawyers is a less than adequate default strategy. If energy policymakers work on “the problem of social cost” successfully, the efficiency of the marketplace can be better harnessed. New technologies will find their opportunities in a marketplace with less micromanagement and more flexibility. Rather than get into a ideological discussion over whether carbon should be regulated, and which sources, the question is whether EPA’s proposed rule will indeed reduce carbon emissions and increase electricity costs. 1. EPA itself acknowledges in the preamble to the rule that the regulation will result in “negligible” carbon emissions. This is because even in the absence of a regulation, there is limited interest in building new coal plants while natural gas prices are so low. So compared to “without regulation,” the rule will not reduce carbon emissions. 2. The rule will not increase electricity prices….as long as natural gas remains competitive with coal.You aren’t closing down existing coal plants under this rule, and new natural gas plants would still be the more attractive build option over coal plants (without carbon capture) while gas prices are low. If gas prices increase, then the rule as proposed would increase electricity prices (compared to coal plants without carbon capture). One other thing to note about natural gas plants (combined cycle gas turbine plants, in particular) over coal plants is that a nat gas CCGT unit provides quick ramping capacity that is becoming more important to grid operators as increasing generation from renewable sources must be integrated. CCGT plants by their very technology are much more adaptive than steam electric plants. 3. EPA is establishing a legal precedent with this rule. This rule will be challenged in court, and if upheld, will establish the legal precedent for EPA to regulate existing sources. How that rule looks though, is uncertain although EPA administrator McCarthy indicated it would be likely left in the states’ hands to determine how carbon emissions are reduced. Meaningful carbon reductions will only occur if the entire power sector is addressed. It is important to note that in the U.S., power plants represent 39% of US carbon emissions, the bulk of that coming from the coal-fired fleet. So EPA has chosen to go after the single biggest source category for carbon emissions. It looks good on paper and makes a nice sound bite, even if the reductions are negligible. There’s superficially not much to this proposal. The actual emissions standards are not that different from last year’s proposal – still 1000 lbs co2/mWh for most gas, with a slight bump to 1,100 lbs/mWh for coal. And in any case EPA claims/admits that they won’t change much in practice since few if any coal plants would be built anyway. Market trends (cheap gas) and regulations aimed at other pollutants make coal unattractive in almost all cases. So this rule, if finalized in its current form, will do little. However, it is an important step in a larger pathway. Assuming it survives inevitable legal challenge, it will demonstrate EPA’s authority to issue performance standards based on GHG emissions and climate harms. EPA can use this authority to issue standards for other sectors (“source categories” in Clean Air Act jargon) like refining and cement, which may in fact be binding. Even more importantly (and as Ms. Santoianni points out), this new source performance standard lays crucial groundwork for future existing source performance standards. The President has committed EPA to issuing those rules (more precisely, guidelines for states to set rules), and when this proposal is finalized, it will be legally bound to do so. These rules will be far more important that those for new sources, since they cover the entire installed base of power plants, not just the few new ones constructed each year. This makes the underlying structure of the new source proposal important. One critical decision is whether EPA combines coal and gas into a single source category. Doing so is arguably necessary to give generators the ability to trade or average progress toward the standard between the two types of power plant. This ability substantially reduces the cost of compliance (or increases the emissions reductions available at the same cost) relative to an inflexible approach. In last year’s proposal, EPA did combine the two categories. In this updated proposal, the agency “co-proposes” to divide them, or to keep its combined category. It will have to decide before finalizing the rule, and it’s decision will say a great deal about prospects for flexible, cost-effective existing-source rules. The Clean Air Act requires that new source performance standards be set at a level that is “achievable” through use of the “best system of emission reduction” that has been “adequately demonstrated.” The courts have held that this language allows EPA to go beyond what has already been achieved. Instead, the courts will uphold a new source performance standard so long as EPA reasonably explains how it is achievable even though it has never been achieved. (For instance, the D.C. Circuit in 19880 upheld an EPA decision to require 90% scrubbing, which had not been achieved on a continuous basis, because EPA outlined steps that could be used to achieve that level. So the crucial question will be whether EPA can explain how a standard that has not been met is indeed achievable. At first glance, there is really little at stake. EPA does not expect coal-fired power plants to be built even without the standard — see its regulatory impact analysis. Some (including posters above) have argued that the real importance of the standard is that setting it paves the way for EPA to regulate existing power plants. But to what extent can such plants be controlled? Everyone seems to agree that CCS cannot be used for existing plants, and there appears to be no other technology that would do anything to reduce emissions. Rather, EPA would be limited to requiring energy conservation measures — valuable in their own right, to be sure, but not productive of substantial decreases. The Natural Resources Defense Council has suggested that EPA make regulations that force states to switch generation profiles away from coal, but it is unclear whether the Clean Air Act permits this.